Our web design company has been specializing in web design services in Phoenix for over 16 years now! Our team has taken years of web design, development and conversion optimization experience and condensed down our most actionable web design tips that have our clients convert more website visitors into leads or customers and put it into this web design tips guide. The best part? All of the web design tips are actionable and fairly easy to implement. 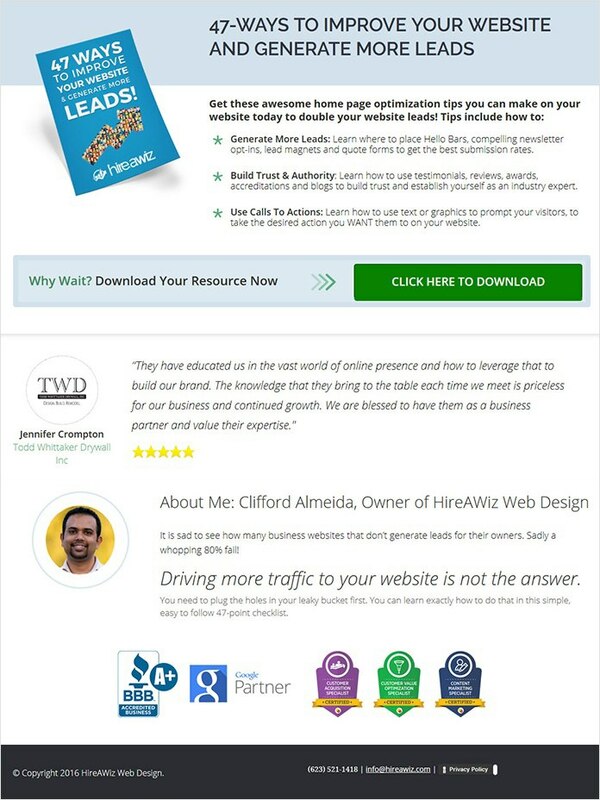 If you are serious about converting more of your website visitors into leads or paying customers then you need to this out and start implementing them today. There are over a billion websites on the internet today. Take a look you’ll see that you’re competing with dozens locally and probably hundreds if not thousands of websites nationally in your own industry! 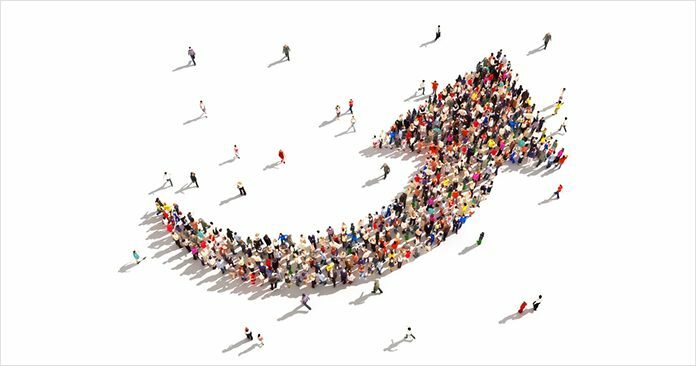 Is it effective in converting visitors into leads and customers? If you happen to be be Apple or Coke congratulations your are a household name and your don’t have credibility issues or brand recognition issues to deal with. Most of us aren’t so lucky and have to deal with the uphill battle to build trust and credibility each time a new visitor lands on our site. Your website is often the first point of contact for the potential customer and is responsible for establishing first impressions. Trust factors help your website position your business as trustworthy and knowledgeable. Businesses that design their websites with trust factors and indicators that boost credibility have a strategic advantage over the competition. Design. People judge the book by their cover and your website by its design. According to a Bright Local Survey 84% of people trust online reviews as much as a personal recommendation and 90% of consumers read less than 10 reviews before forming an opinion about a business. Just like the case study (but shorter and sweeter), testimonials can serve as a way to build trust with your audience when they get to your website. They can see who enjoyed your products or services and the great things that they have to say about your business, service, or product. Of course they can check on Google to make sure, but once they are on your website give them the information that they need. Want to stand out from the competition? 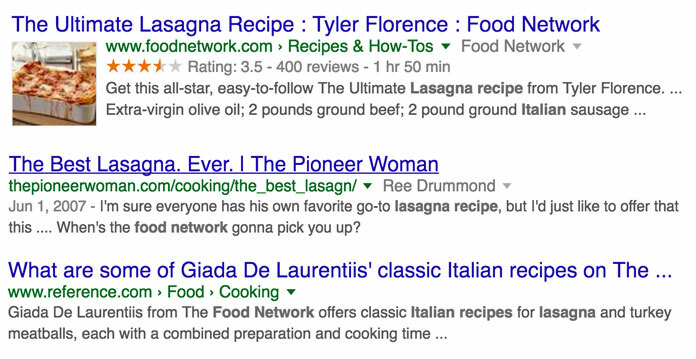 You can boost your SEO and stand out in the search results by using schema markup for your reviews. Check out our step by step guide on how to use schema tags to boost your SEO. Make sure your ideal customer will be able to relate to it. Identify your prospect’s problem or want and offer your information, products or services as the solution. Clearly present the benefits of your site, products and/or services via a unique selling proposition. More about this on the next point. 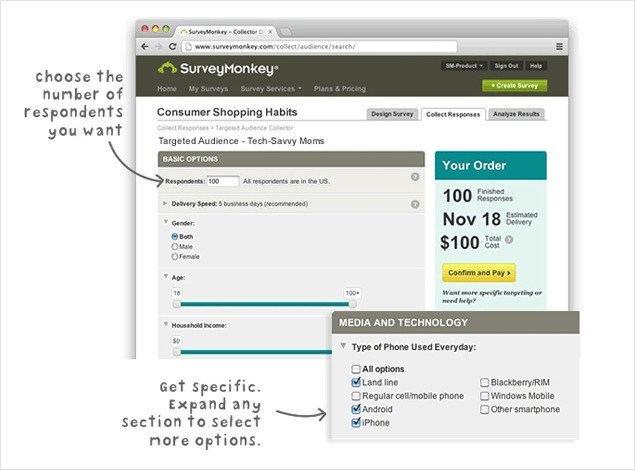 Offer a call to action where you tell your visitors exactly what you want them to do (click a link, subscribe to a mailing list, purchase a product, etc). Don’t make your visitors guess why they should do business with you. Instead, lay out the reasons and benefits as clearly as possible. Your value proposition (also called a unique sales proposition) is a succinct reason why you’re better than the competitors. It’s a reason why your prospects should do business with you. This could be your superior customer service, a unique guarantee, a low price, a high price, or even a special way that you create your products or offer your services. If you haven’t developed a value proposition yet, now is the time to do it. If you have one in place, then take time to revisit it to see if it’s still attractive to your market. If it is, then review your website to be sure your value proposition is conveyed all throughout the site, from your sales copy to your customer service FAQs. Give your audience an offer with so much value that is so impossible to turn down. Trade it in return for their email address. By creating an irresistible opt-in you create an opportunity to connect with your audience, offer value, educate and establish yourself as the subject area expert in your industry. This could be an ebook in the form of a PDF, audio recording, video or a physical product. Follow up with the irresistible offer with more information to nurture, educate, bring value nurture a relationship and then present them with your core services and products. Most conversion rates are around 3-5% if you have a highly converting site you maybe get to 10% but that is highly unlikely. So what happens to the other 90% of your website visitors?Most visitors who leave your site without purchasing anything or calling you will most likely not connect with your website again once they leave. Similarly to a website opt-in we highly recommend creating an enticing landing page with a high value offer often referred to as a lead magnet. This page is where you offer your prospects a free report, video, white paper, consultation or something else of high value to your ideal customer in exchange for their email address and/or phone number or postal address. That way you can follow up with your prospects again and again over time in order to build trust and establish a relationship that can help you close a sale. Use a compelling headline that captivates the audience’s attention. Make a promise that your your lead magnet will solve their problem or deliver on their desired end result. Outline 5+ benefits of the offer and why they should opt-in. Provide social proof though testimonials, stats, reviews and case study summaries. Around 80% of people who have access to the internet get online using their smart phones. As of 2015 there were more mobile devices connected to the internet than desktops and laptops. This trend has only grown since and since has become a ranking factor for Google. 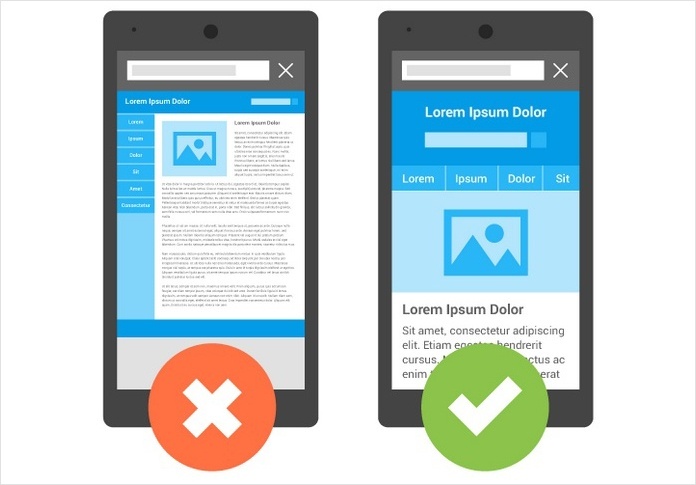 Google is now giving preference in their mobile rankings to sites which are mobile friendly. Having a mobile friendly site ensures that visitors on your website have an optimal experience when browsing your site on a mobile device. If a user has to zoom in on text or copy a phone number vs. clicking on it to call your business while on the go chances are you will lose them as a lead or customer. What does all of this mean to you? It means your site better be mobile-friendly, or you’re going to see a sharp drop in traffic and/or people backing out of your site within moments of arriving. Google has created a website that will test and analyze your website URL and provide you with a simple report letting you know if your website meets its mobile-friendly design standards or not. Click here to check out their Mobile Website Testing Tool. This seems so obvious, but many business websites are missing contact pages and if they have them they are missing critical information like a phone number, email and business address. Make sure to add your contact us page to your main navigation menu on every page and in the footer as well. You want to make it as easy as possible for people to connect with you or your business. Make sure your website includes your name, address, phone number, email and hours of service if possible. It’s important that your NAP (Name, Address, Phone) are consistently listed the same on your website as it is across the web. 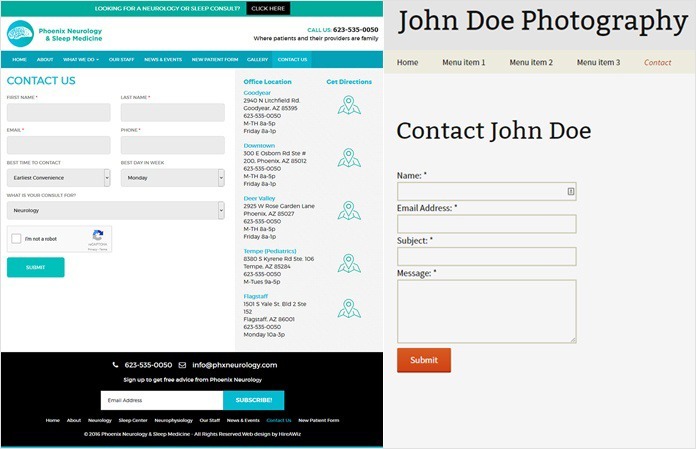 Using a website form is another helpful way to offer visitors a way to connect with you vs. calling you. The only way to know for sure that your sales copy and ad campaigns work is to meticulously track, test and tweak everything. 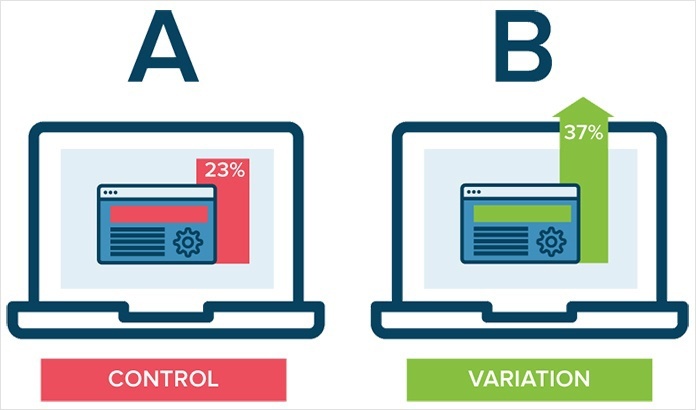 In short, optimize your conversion rate and start making decisions based on real data, rather than guessing your way through your marketing plan. You can start by installing a tracker on your site, such as Google Analytics or any number of similar solutions. 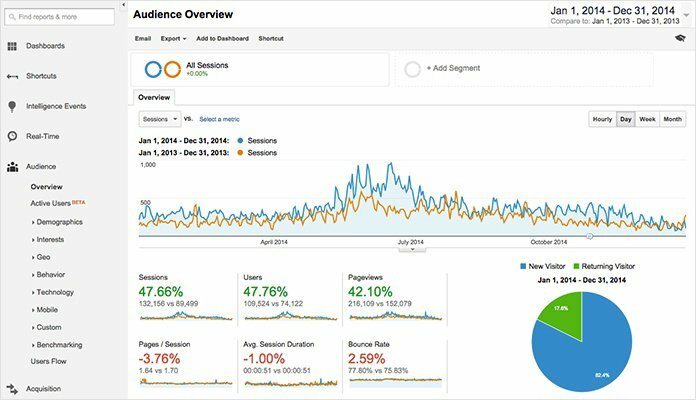 Google Analytics provides the most comprehensive way to look at your audience and track their behavior. These analytics will tell you where your audience is coming from, where they are going to on your website, and what they are spending time on. This means that you can find where traffic is the most valuable and focus your efforts there. You can drum up more business with a laser focus on your target audience and their preferred interactions with your website. The good news is you don’t need to do all of these things yourself. Instead, get in touch with the experienced marketing and conversion team at HireAWiz. We’re a full service digital agency who can do everything from designing your site, optimizing your conversions, and getting you more traffic. Generating business for a website is a big task, but it’s also one of the most important things you can do for your business. 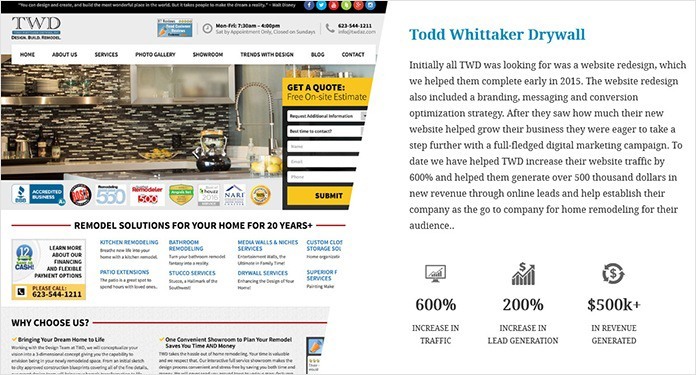 A well-planned website will become the best sales person on your staff. Since this is such as important job, don’t leave it to the amateurs. They may know a bit about designing a site, but very few know how to design, develop and market an effective website. That’s where the team at HireAWiz comes in. Our web development team has been using technology to help small businesses grow since 2001. Find out more about what makes us the best choice for developing your site by visiting us online today!